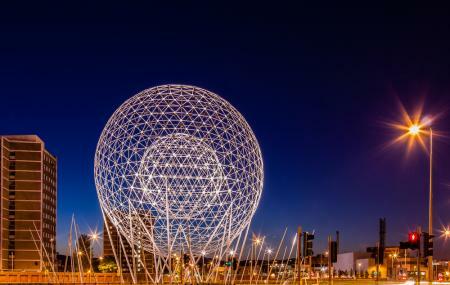 Locally referred as the balls of the Falls the rise is a spherical piece of art beautifying the city of Belfast. The rise is also the biggest structure of public art in the city. The sculpture denotes the rising sun celebrating a new history bursting in the city today. The Rise is a 40 meter structure made by joining 2000 steel tubes through 800 joints. The spectacular design and illuminating appearance is simple very fascinating especially at night. On a visit to Belfast, you definitely cannot miss out on this attraction. People normally club together Dunmurry Golf Club and Crescent Arts Centre while planning their visit to Rise.